“The Breadwinner,” which premiered at the Toronto International Film Festival on Friday, may well turn out to be the movie to test whether the Oscars’ new rules for voting in the Best Animated Feature category are truly biased in favor of major studios over indies. A beautifully rendered work of animation that tells a powerful story, it is a standout in the field and would certainly have been a favorite to land a nomination at any point over the last decade. Directed by Nora Twomey and executive produced by Angelina Jolie, “The Breadwinner” is an Afghan-set film that comes from GKIDS, the small New York-based company that has been the most successful indie, and one of the most successful companies of any size, in the Oscars animation race in recent years. By acquiring (and now, occasionally producing) small, usually hand-drawn films like “The Secret of Kells,” “Ernest & Celestine” and “A Cat in Paris,” GKIDS has benefited from a category in which nominations had been made by committees, which often showed a preference for hand-drawn indie films over more commercially successful CG films from large studios. New rules passed earlier this year, though, will open the voting to any Academy member who wants to watch enough films. 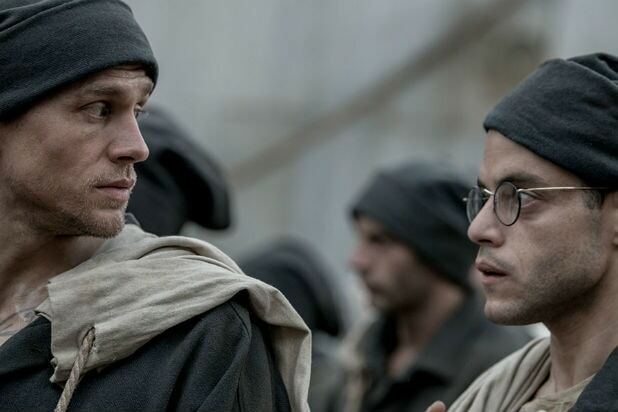 The initial consensus is that it might give a boost to bigger, better-known films, but that has yet to be tested. 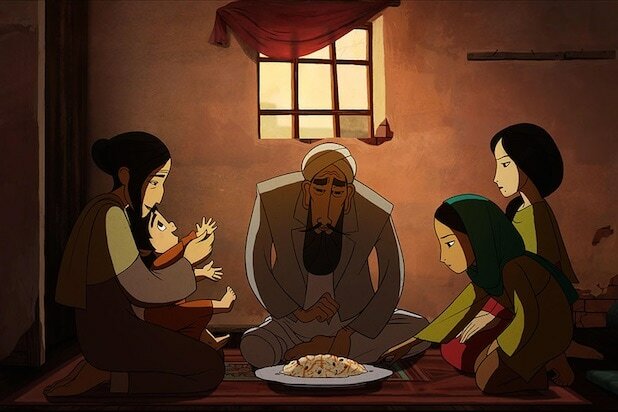 And it’s safe to say that “The Breadwinner” will be hard to ignore regardless of the rules. Set in Kabul under Taliban rule, the film paints a powerful picture of a vibrant culture and people under stifling repression; it has monsters and plucky kids and colorful adventures like other animated films, but at heart it is a beautiful but troubling look at a people’s fight to survive. The lead character is Parvana (Saara Chaudry), a preteen girl who accompanies her father to the market in an attempt to make enough money to feed the family. She draws the attention of a Taliban soldier because she’s approaching the age when women should be completely covered (or should preferably stay indoors), while her father (Ali Badshah) is suspect because he’s a former teacher who still respects literature. The father ends up in jail; her mother (Laara Sadiq) can’t safely appear in public without her husband; and Parvana finds the only way to support the family is to cut her hair, dress as a boy and find work with another girl who’s doing the same. The scenes are stylized enough to reflect the culture they’re depicting, but the animation style is also closer to realism than Cartoon Saloon, the Irish company responsible for “Song of the Sea” and “The Secret of Kells,” usually provides. Crucially for the story and the film, Parvana is also a storyteller, weaving a tale to keep her little brother happy and to help herself and her friend through a series of dangerous encounters. These sequences bring a deliberately subdued film to life, and pay tribute to the force of storytelling and of tradition that can be outlawed but can’t be quashed. And in the film’s spectacular final sequences, when the story Parvana is telling meshes with the one she is living, “The Breadwinner” is a glorious demonstration of the power of myth to deal with brutal reality, and the power of truth to animate myth. When the Academy passed its new rules for animation voting, GKIDS founder Eric Beckman was quoted as saying his company would find a way to work with whatever rules were in place. “The Breadwinner” suggests that the best way to do that is to make great movies.